Why haven’t you reprinted Avi Schicks Op-ed in the New York Daily News regarding the other side of the coin? I’ve seen it reprinted in a few other sites which are not as open as yours. We have published both the op-ed and some additional articles. We had not seen it. Thanks for the catch. “…who could not easily read a sentence in the language of his land…” This somewhat misses the point. He most likely doesn’t really consider it his land. He’s no more part of America than our moonwalking astronauts were part of the moon. He’s here physically but that’s more or less where it stops. 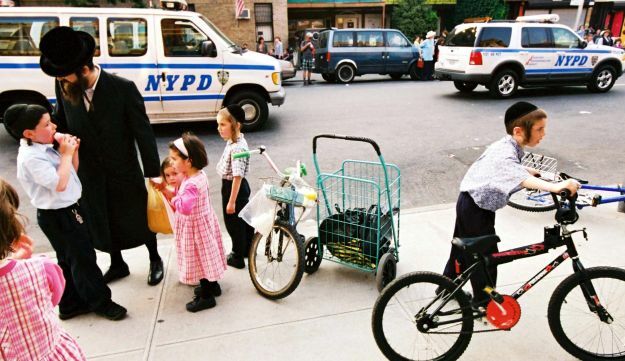 Ultra-orthodox men live in a parallel society, largely unconnected to the larger American one in which it’s embedded. They’re scarcely Americanized. “For many observant Jews, secular education has no intrinsic value”. So we should just let them do whatever they want? “For many observant Jews, secular morality has no intrinsic value.” So we should just let them do whatever they want?